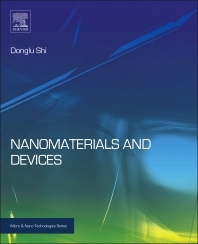 Introducing the fields of nanomaterials and devices, and their applications across a wide range of academic disciplines and industry sectors, Donglu Shi bridges knowledge acquisition and practical work, providing a starting point for the research and development of applications. The book describes characterization of nanomaterials, their preparation methods and performance testing techniques; the design and development of nano-scale devices; and the applications of nanomaterials, with examples taken from different industry sectors, such as lighting, energy, bioengineering and medicine / medical devices. Key nanomaterial types are covered, such as carbon nanotubes, nanobiomaterials, nano-magnetic materials, semiconductor materials and nanocomposites. Shi also provides detailed coverage of key emerging technologies such as DNA nanotechnology and spintronics. The resulting text is equally relevant for advanced students (senior and graduate) and for engineers and scientists from a variety of different academic backgrounds working in the multi-disciplinary field of nanotechnology. Explores applications through cases taken from a range of different sectors, including electronics, energy and medicine.